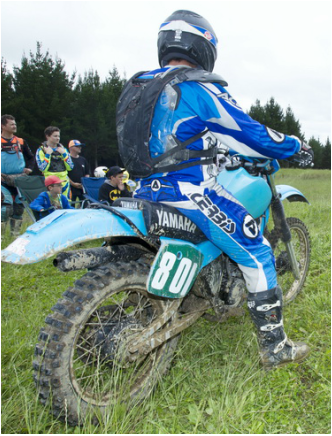 Rather than be tied to strict model years Vinduro NZ classes are more liberal and mostly based on the technology shifts that have defined the development of off road riding, like long travel suspension, rising rate suspension, disc brakes and liquid cooling. Each of these technology leaps has effectively made previous models outdated. Here is a visual guide to the classes illustrated with bikes typical of that class. Bikes manufactured and fitted with four speed transmissions. Short travel emulsion type twin shocks, drum brakes and air cooling only. No reed valve engines. Maximum angle of rear shocks from vertical 15 degrees. Maximum rear wheel travel 125 mm. Maximum fork travel 175 mm, no leading axle or USD forks. 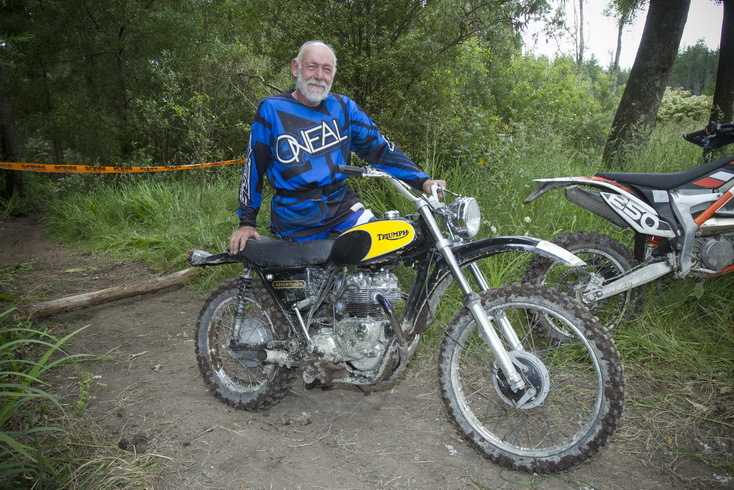 Although these bikes were used in tough offroad events in their day few riders of the present era seem to be keen to take the challenge. The four speeders are relatively slow and heavy and the low ground clearance in deep modern ruts and wide spaced gears are a further challenge. If you up for it the Vintage class is there for anyone who can step up . Bikes manufactured and fitted with short travel twin shocks, drum brakes and air cooling only. Maximum rear wheel travel 125 mm and maximum shock angle from vertical 30 degrees, Maximum fork travel 175 mm. 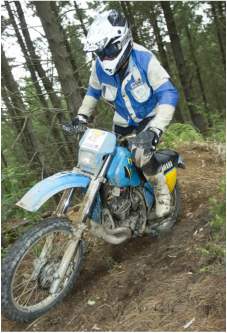 Classics are easier to ride than Vintage machines, usually lighter and with at least five speeds have better gear ratios. 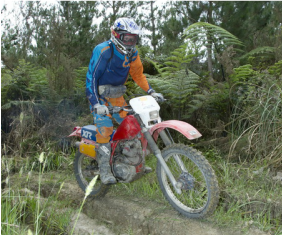 Suspension travel is however still very limited and the rider has to be prepared to ride slower and often use more effort than with a later model bike. The low seat height does however better suit short riders, while tall riders may find the transition from sitting to standing more difficult. Bikes manufactured and fitted with long-travel rear suspension of more than 125 mm travel with forward mounted or laid-down twin shocks, or non-linkage monoshock. Air-cooling and front and rear drum brakes only. Conventional (not upside down) forks over 175 mm travel. 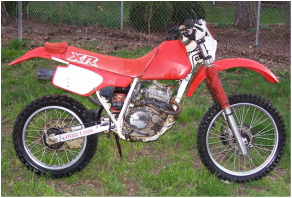 Evo 1 bikes are usually lighter than the classics and have more power, many have 6 speed gearboxes. The main improvement is however greater ground clearance and suspension travel, usually around 200 - 240 mm which makes for an easier, more comfortable ride. Seat heights vary from moderate to quite tall. Bikes manufactured and fitted with a linkage-equipped single shock. Air-cooling, front and rear drum brakes and conventional (not upside down) forks only. The second of the Evo classes provides more suspension travel again with the advantage of a rear suspension linkage that makes the ride more progressive and comfortable. Engine power is becoming broader and more flexible, but seat heights are climbing. Bikes manufactured and fitted with drum rear brake, front disc brake, and conventional (not upside down) forks only. In this class you add the luxury and reliable stopping power of a disc front brake. All motorcycles manufactured up to 1997. Flow-on models (where specification did not substantially change) will be allowed if younger, eg Honda XR/XL series models, 250, 400 and 600, Kawasaki KDX 200 and 220, Kawasaki KLX/R 250 and 300 models, Suzuki RMX, DR250 and 350 models, Yamaha TT/XT 250, 350, 600 models. Other flow on models considered on merit. 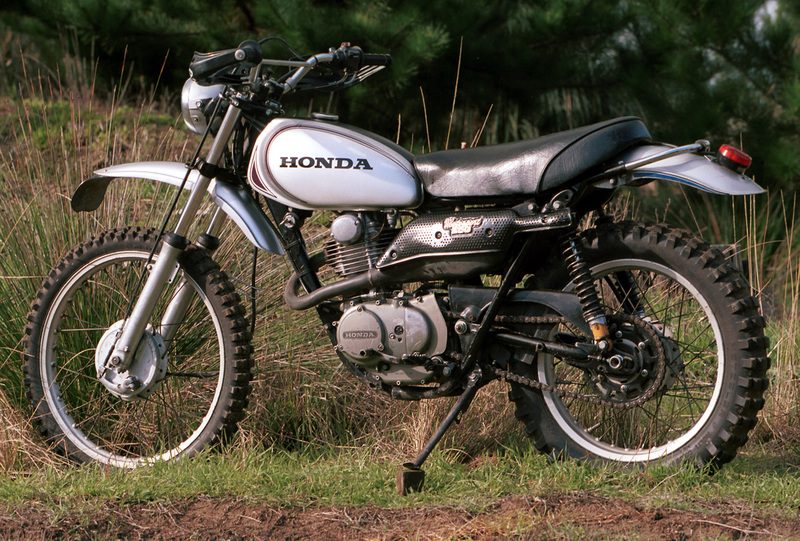 In the modern class you get pretty much everything, high ground clearance, great power and full rising rate suspension travel and even cartridge forks. Seat heights as for current models.